Hate throwing out lightbulbs? Ever wonder what to do with them? 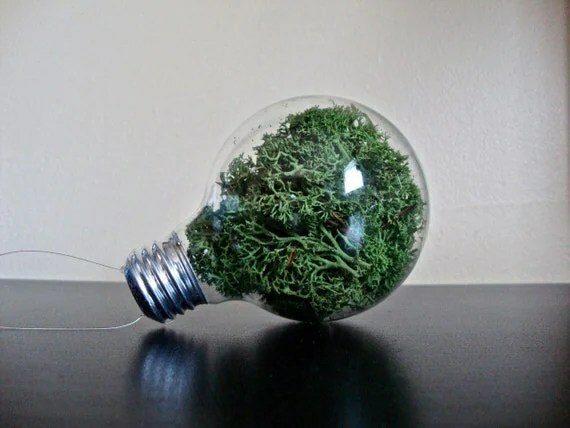 This awesome lightbulb terrarium can be bought on Etsy from EGarden Studio. What a cool way to brighten your office!